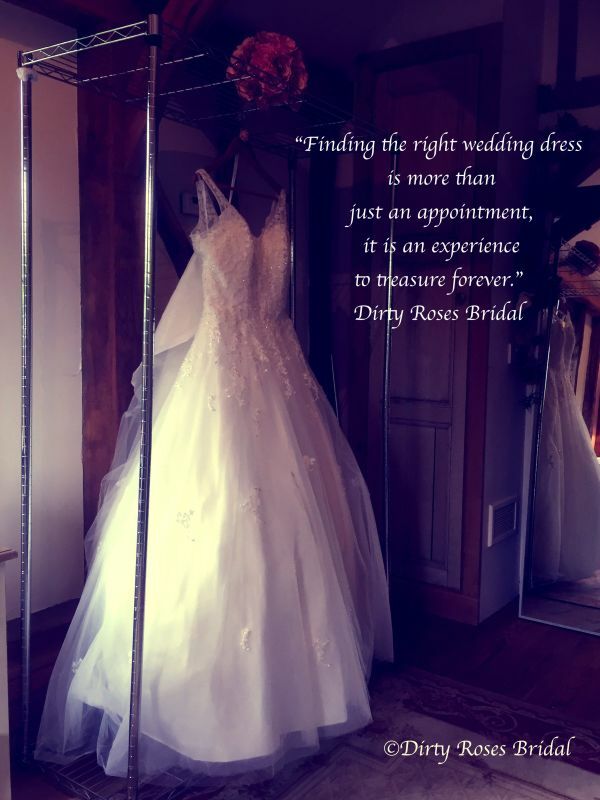 Dirty Roses is Sussex's most affordable & luxurious Bridal Barn Boutique who give permission for brides to be unique. To Talk Of Many Things & More. You Will Be Surprised, What You May Find. Dirty Roses is a family run bridal shop located in a stunning barn based in Crawley Down. We are only a 7 minute drive from Crawley town centre. A ten minute drive from Gatwick. The local bus stop, Metro, is right around the corner. We have our own car park so plenty of space for your entire party to attend with you. so here at Dirty Roses Bridal we are strictly by appointment only. All our appointments are 2 hours long, this gives you time to fall in love with your dream dress without having to watch the clock or worry about the next bride walking in. You are assisted by one of the owners to find the perfect gown for you. We have a seamstress in house who will help & advise you with any questions you may have before your alterations are completed. Book your appointment today with our friendly & fun family. We opened our first premises in October 2015 in Church Walk, Crawley. Dirty Roses Bridal Boutique was created as we believed there is no place ours. to suit their figure but their personalities. We have hand selected the gowns we showcase so they all have something special to offer. we are here to help every step of the way from choosing the right shape to suit you, to helping you accessorise your chosen look. We have two ranges, one we sell off the rail and the other you can order in your size. All our prices are on the gowns, so you are able to stay within your budget or go over if you wish.Here at Dirty Roses we keep all our prices are under £2000. Our boutique is by appointment only. while helping you pick out the perfect dress. Here at Dirty Roses Bridal, we have our very own seamstress who works in house. 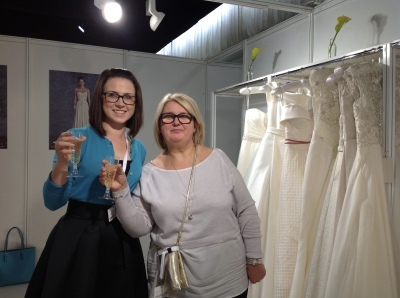 Carole has worked in the wedding industry for over 20 years. She studied & qualified at the London School of Fashion. All appointments with Carole must be pre booked. just after the Dukes Head Pub. who are available to hire for your big day. Each week here at Dirty Roses Bridal, we do a live video to showcase our products along with helpful information. If you missed the live video then do not panic as we have them here for you to watch or click on the link below which will lead you to our Youtube channel.